Hugh Collins FBA is the Vinerian Professor of English Law at All Souls College, Oxford. Previously he was Professor of English Law at the London School of Economics and a Fellow of Brasenose College, Oxford. Gillian Lester is the Dean and the Lucy G. Moses Professor of Law at Columbia Law School. Previously she held faculty appointments at the University of California Berkeley School Of Law (2006-2014) and at UCLA School of Law (1994-2005). 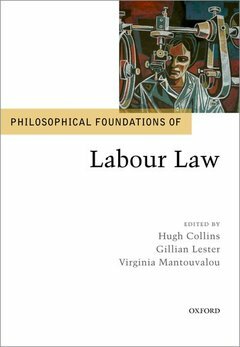 Virginia Mantouvalou is Reader in Human Rights and Labour Law and Co-Director of the UCL Institute for Human Rights. She is also Director of Graduate Research Studies at UCL.